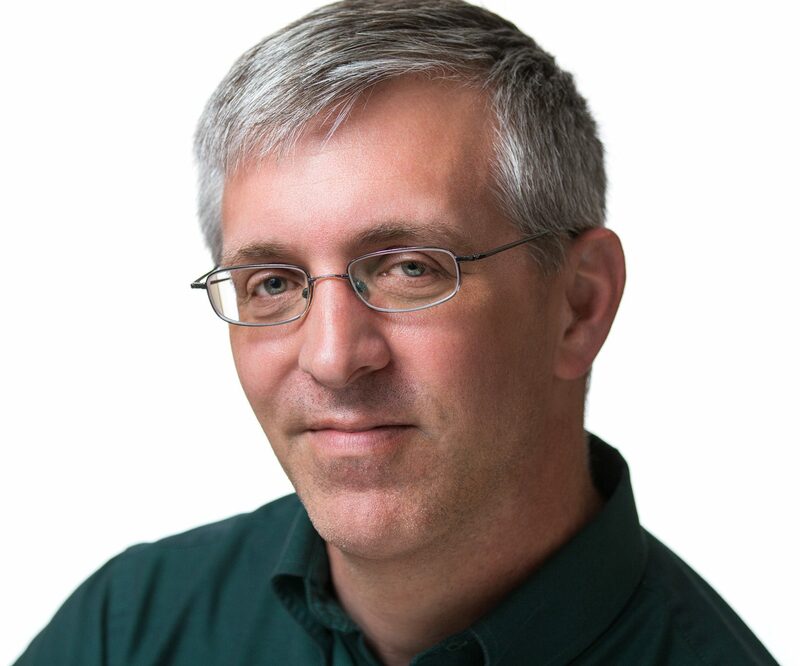 The story of Buddy’s funeral, along with a photo of him being rcarried out of his house for the last time, on the way to Wauwatosa Cemetery. 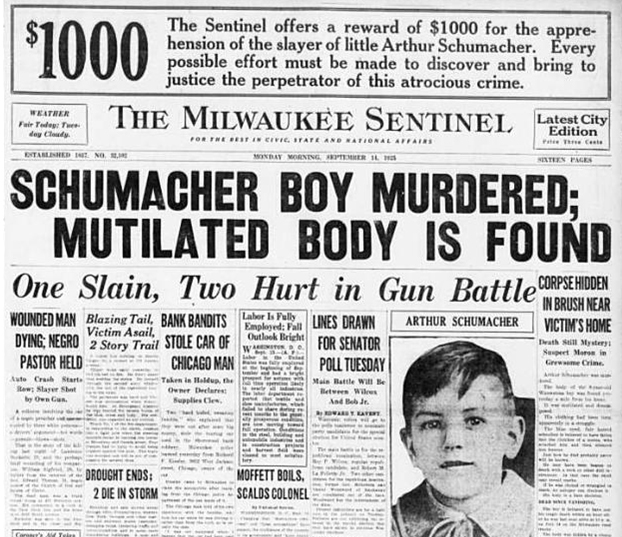 Front page of the Sept. 15, 1925 Milwaukee Sentinel reporting the fact that Buddy was killed by a handkerchief that had been shoved down his throat, suffocating him. 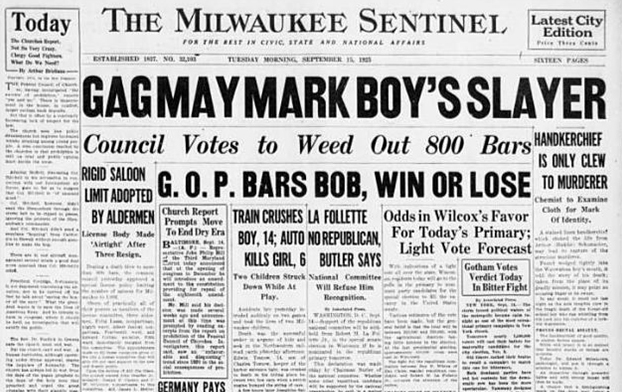 The discovery of Buddy’s body was announced on the front page of the Sept. 14 Milwaukee Sentinel. 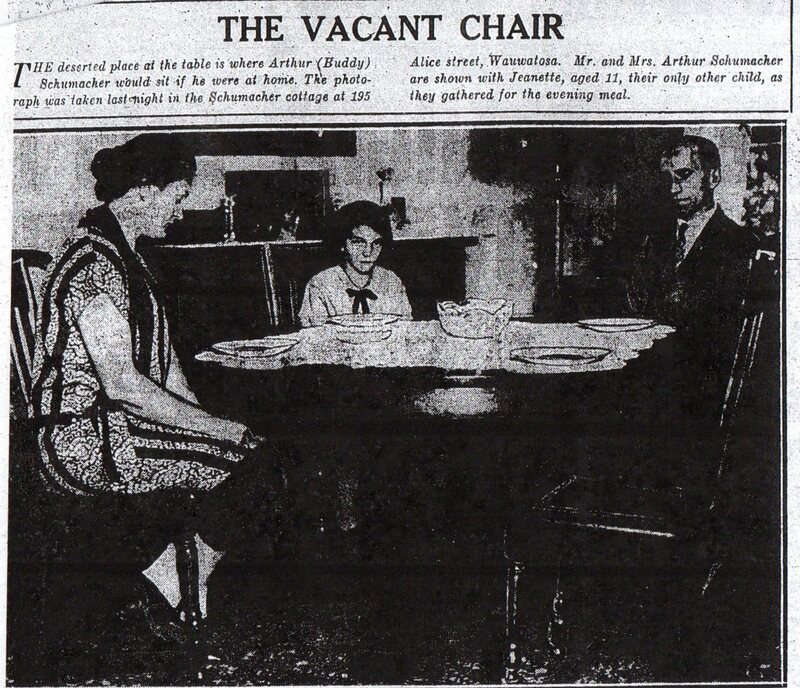 The Schumacher family sits around the dinner table, with a vacant spot where Buddy would have sat. 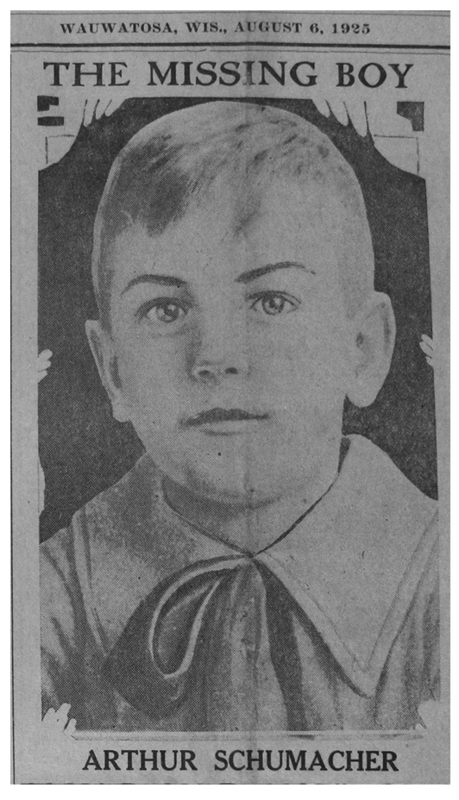 Emma Abel, Wauwatosa, who described a handkerchief similar to the one Buddy was killed by, as being in possession of Edward Vreeland. Later, Mrs. Abel said she could not positively identify the handkerchief removed from Buddy’s throat as the one she’d seen Vreeland with. Here is an interesting photo, set up at the Wauwatosa Police Department. 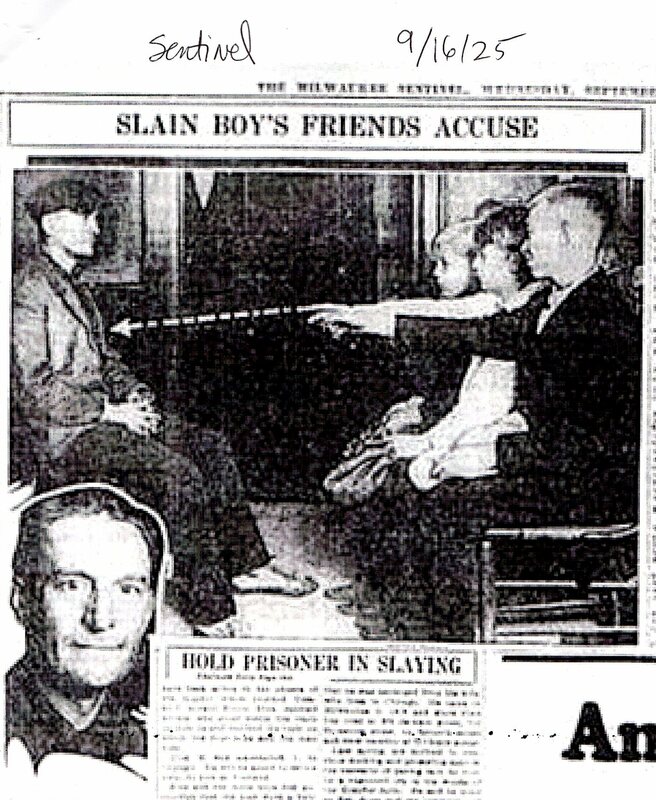 Buddy Schumacher’s friends (right) point at suspect Edward Vreeland. 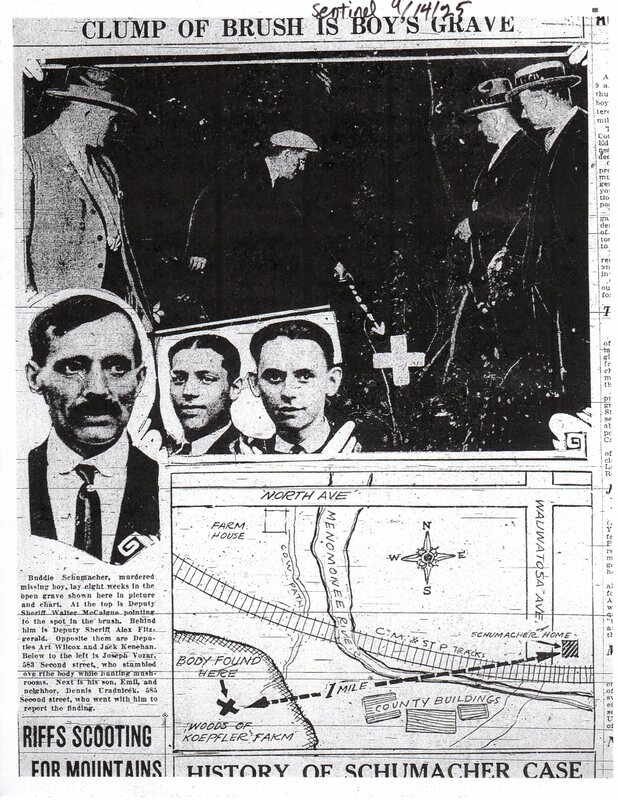 Dashed arrow provided by the Milwaukee Sentinel. 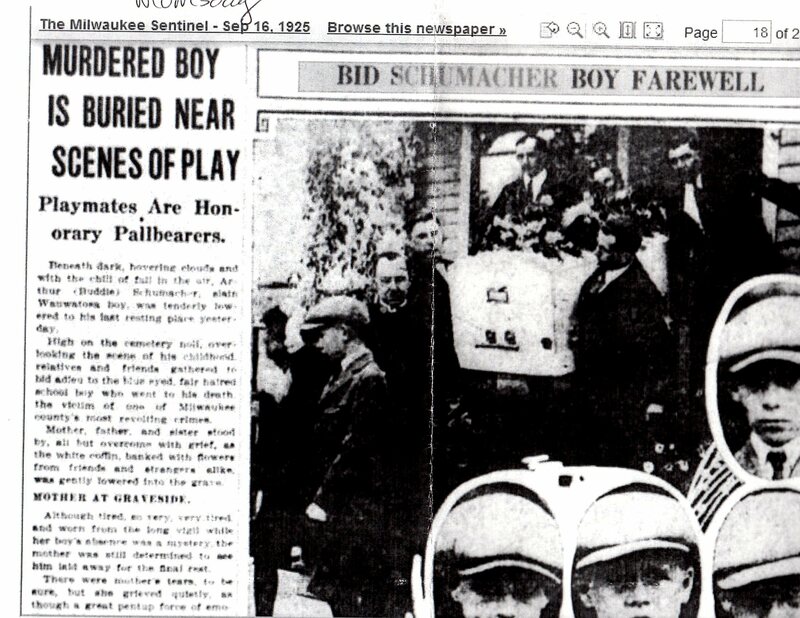 The first newspaper article I ever saw regarding the death of Buddy Schumacher. That’s his coffin being carried out of his house on Alice Street (now 74th Street) just north of State Street in Wauwatosa. “X” marks the spot: This is where they found the body. 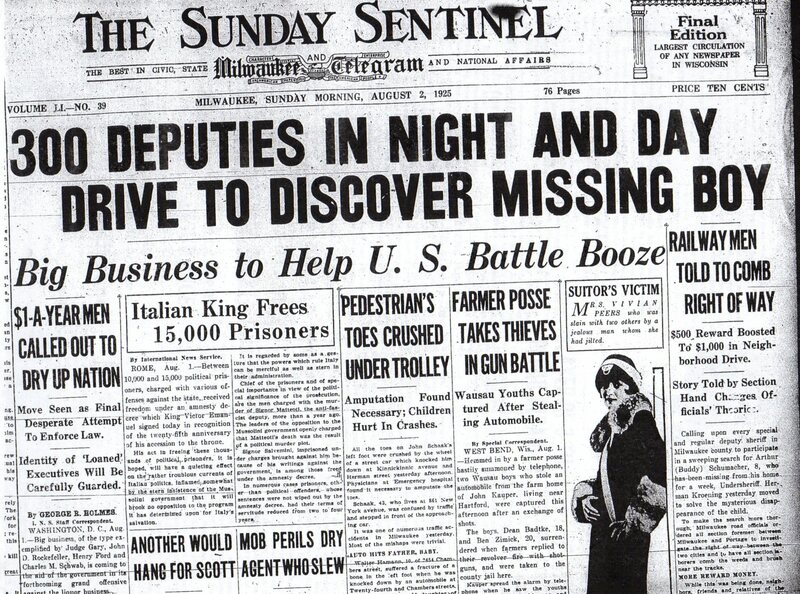 Florence Schumacher grieves, holds out hope of finding her son. 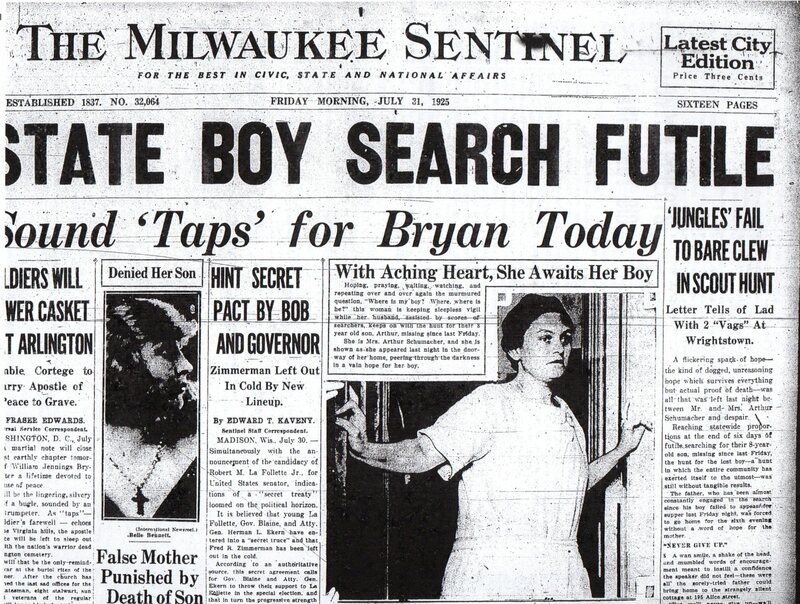 Story from Sunday (Milwaukee) Sentinel about 300 deputies searching for the missing boy. 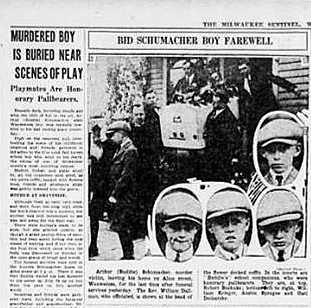 Wauwatosa News story announcing the disappearance of Buddy Schumacher (thanks to Larry Widen for taking this photo).